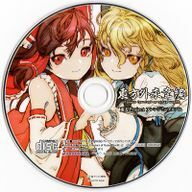 Strange Creators of Outer World Touhou Project Arrangement Mini Album (東方外來韋編 Strange Creators of Outer World 東方Projectアレンジミニアルバム, Touhou Gairai Ihen Touhou Project Arrange Mini Album) is a doujin album by SOUND HOLIC, Yuuhei Satellite, and Alstroemeria Records released on 2015-09-30. It was included with Strange Creators of Outer World Volume 1. Track 3 is a re-arrangement of Plain Asia from Alstroemeria Records' Plastik World. This page was last edited on 1 July 2016, at 00:09.